Al Karam Mid Summer Collection 2013 For Women has launched its Mid Summer Collection. 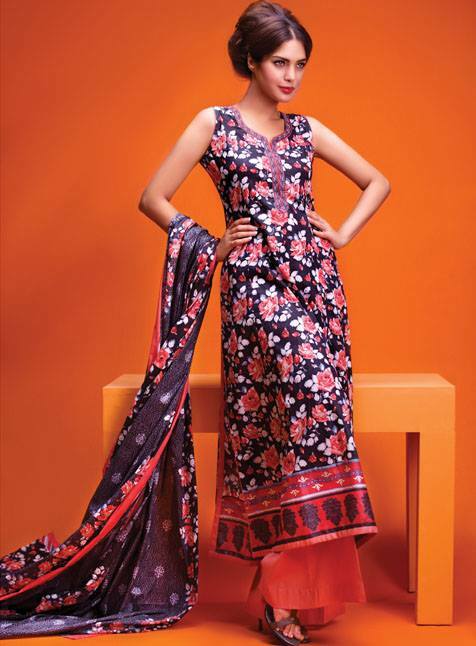 It has beautiful floral prints with embroidered motifs and stylish cuts. Prices are very reasonable with a good quality fabric. They have 3 piece suits and single shirts in their collection. Lets have a look at its stunning and beautiful designs, prices are mentioned in pictures you just need to go to Alkaram studio or fabric shops having its collection and grab your favourite one..